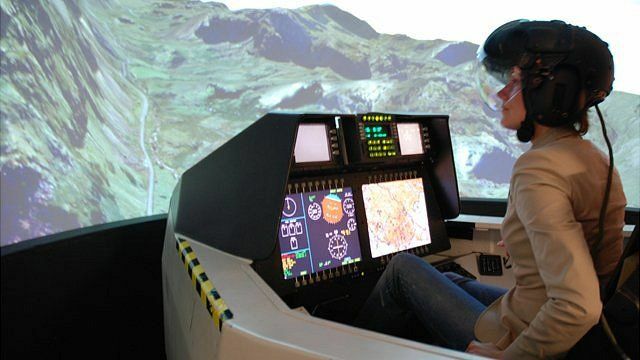 Flying a jet with a 'smart' helmet Jump to media player The BBC's Katia Moskvitch tests BAE Systems' Striker 'smart' helmet in a simulator at the company's Rochester plant. Disaster drones to the rescue? Jump to media player Chief government scientist Nick Jennings explains how his work on Human Agent Collectives could mean airborne robots coming to our rescue in a crisis. 'Foldable drone' unveiled at show Jump to media player Craig Lippett has shown off his unique unmanned drone, which folds up, at the Farnborough Airshow. So-called 'smart helmets' are transforming the view that fighter pilots can get from the cockpit. The BBC's Katia Moskvitch tried out BAE Systems' Striker helmet model on a simulator, at the company's Rochester plant. The technology is known as an Integrated Helmet Mounted Display System (HMDS), and allows enhanced information - which is projected onto the visor - to be conveyed to the pilot. Cameras mounted around the plane allow the pilot to see things that are physically obscured from his view, for example. The Integrated Helmet Mounted Display System (HMDS) has been used on the Eurofighter Typhoon and SAAB Gripen and the Helmet Mounted Cueing System (HMCS) has been used on Harrier and Tornado jets. 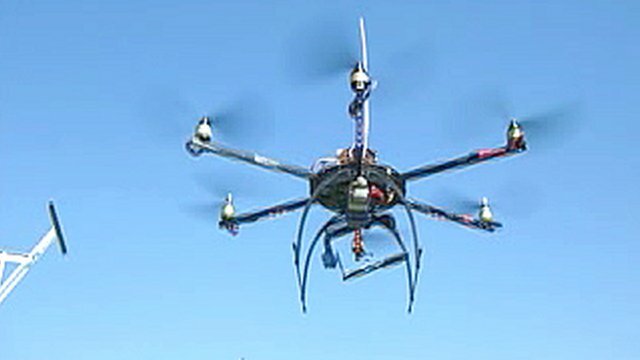 Go to next video: Disaster drones to the rescue?